It’s finally here!!! The first single from my new EP, The Greatest Pretender. 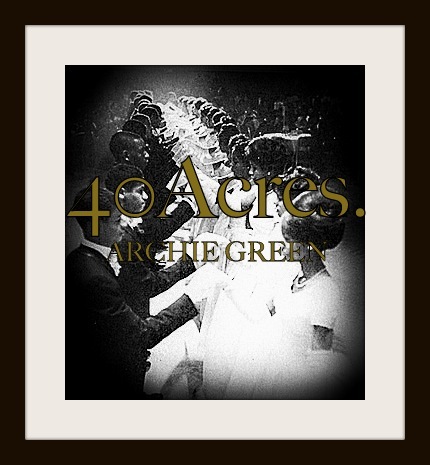 “40 Acres” is a story about my upbringing, my trials, my blessings and my true determination to make it as an artist. I chose this image because it is a sign of true CLASS, with young African-American Debutantes & Beaux taking part in a traditional Cotillion Ball. A Cotillion is a formal ball that serves as an event where its young participants and their accomplishments are presented to their respective communities. As a member of Jack & Jill Of America, taking part in the annual J&J Cotillion was a celebrated tradition of the many affluent African-American families in my community growing up. Produced by the homie, Randall Thomas.